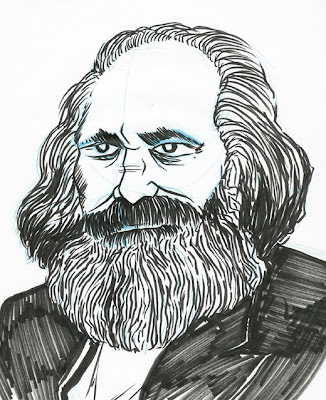 OTTOCON1: The art of Joel Jackson: Drawing of the day 021...Famous Beard 002...Karl Marx. Drawing of the day 021...Famous Beard 002...Karl Marx. A kinda' blah drawing of the Big Daddy of Communism.